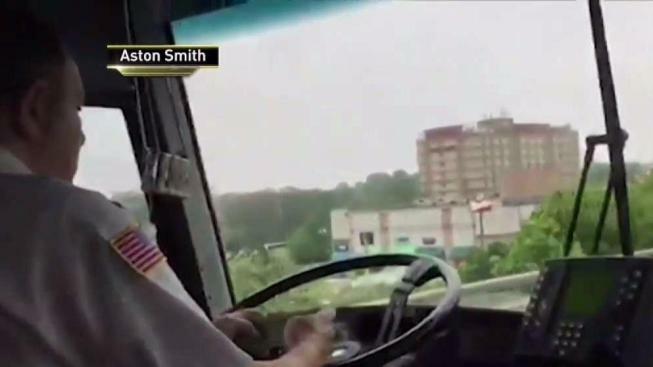 A New Jersey Transit passenger captured video that appears to show a bus operator counting money while driving. Erica Byfield reports. 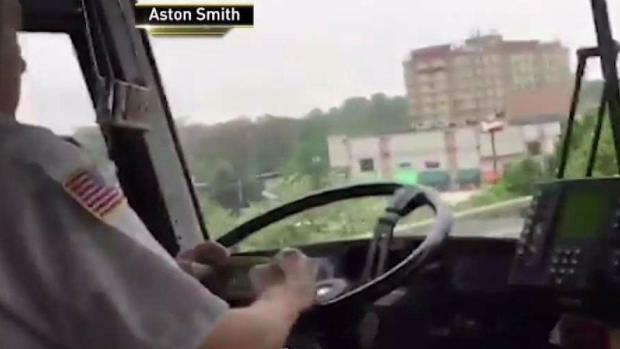 A New Jersey Transit passenger captured video that appears to show a bus operator counting money while driving. Aston Smith filmed the video around 5 p.m. on Saturday, she told NBC 4 New York. The driver shuffled money for nearly five minutes as he drove with around 20 to 30 passengers on board, she said. “His hands had cash in them and that’s where his eyes were focusing,” she said. "I didn't feel safe." NJ Transit said in a statement Monday it is "thoroughly investigating" the case and shares the concerns of those who brought the matter to light. A New Jersey Transit passenger captured video that appears to show a bus operator counting money while driving. Ken Buffa reports. "We have specific rules in place that strictly prohibit counting money or tickets while driving," spokeswoman Nancy Snyder said. "In ensuring the safety of our customers and our bus operators, we are committed to taking swift and appropriate disciplinary action upon the completion of our investigation." Snyder added that NJ Transit has no plans to ban people from paying in cash, and also pointed out the multiple payment options on the NJ Transit app. The apparent incident isn’t the first time an NJ Transit driver has been caught on camera counting cash. In December, another rider snapped a photo of her driver counting cash behind the wheel of the vehicle. And in 2015, a six-month NBC 4 New York’s I-Team investigation found six different drivers who had taken their eyes off the road to count tickets. Drivers are supposed to wait until the end of their shifts to carry out the task. Snyder said in her statement Monday that NJ Transit continues to pursue newer technology and other payment options, and said any customers should report any and all incidents of concern by calling (973) 275-5555.